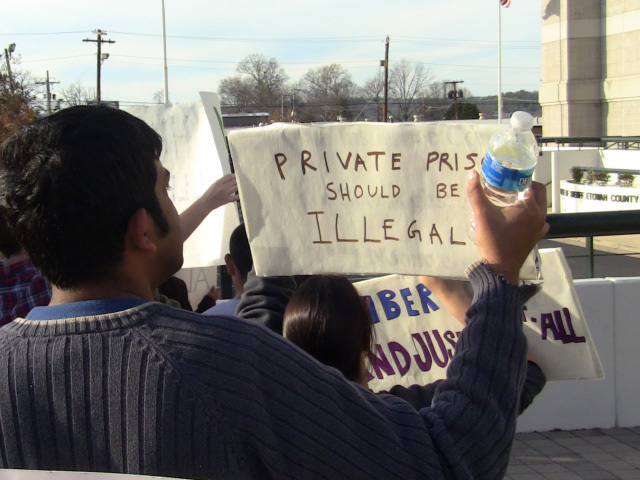 As DOJ Declares It Will Back Away from Private Prisons, What’s Next? Yesterday, Deputy Attorney General Sally Yates sent a memo to others in the Obama administration that declared the Justice Department would be phasing out its contracts with private prisons. Yates is asking officials to, when contracts come up for renewal, either reduce the scope of the contract or just decline to renew altogether. 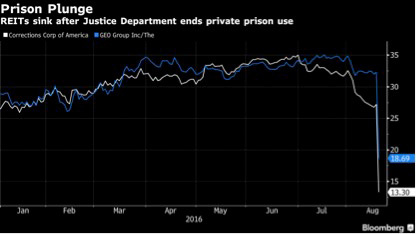 Thus, the DOJ intends to reduce and ultimately end the use of private prisons. There are 13 such facilities in the federal system, housing 12 percent of the federal prison population, and each of those contracts will come up for renewal in the next five years. “They simply do not provide the same level of correctional services, programs, and resources; they do not save substantially on costs; and as noted in a recent report by the Department’s Office of Inspector General, they do not maintain the same level of safety and security,” Yates wrote. She says the intent is to reduce the number of prisoners in private facilities from more than 22,000 to 14,200 by May 1, 2017. According to the OIG report, privately-run prisons had more safety and security incidents than those managed by the Federal Bureau of Prisons (BOP), including higher rates of assaults and contraband. Of course, these findings are not exactly a surprise. Recent articles in Mother Jones and The Nation documented glaring problems in private facilities, and three weeks ago, the BOP declined to renew a contract with the Cibola County Correctional Center in New Mexico. On the other hand, the private management companies disagree with the findings and the strategy, saying that their populations are very different than those housed in the BOP facilities. The private prisons are reputed to spend millions on lobbying each year, so they may be difficult to sever—and we are, after all, facing a change of administration, so will this resolution stick? Moreover, these 13 facilities are a fraction of the private prisons in the U.S.; the move will not have an effect on the size of the prison population. We should also keep in mind that large nonprofits still invest in these facilities. Maybe it is karma time for them, because stocks for the two largest groups plummeted yesterday; according to the Wall Street Journal, Corrections Corporation of America and GEO both lost 40 percent of their value.